July 2004, Paris, France, 147 Pages, Price: 40 . 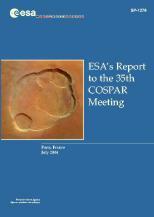 You can purchase these proceedings from the ESA Publications Bookshop. 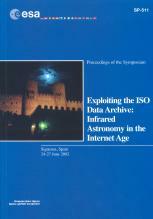 ESA SP-511: "Exploiting the ISO Data Archive - Infrared Astronomy in the Internet Age"
24-27 June 2002, Sigüenza, Spain, 386 Pages & CD-ROM, Price: 50 . 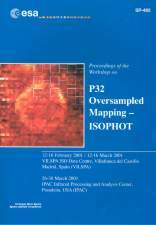 ESA SP-482: "P32 Oversampled Mapping - ISOPHOT"
26-30 March 2001, IPAC Infrared Processing & Analysis Center, Pasadena, USA, 129 Pages, Price: 30 . 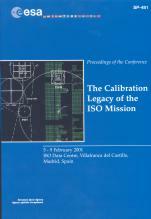 ESA SP-481: "The Calibration Legacy of the ISO Mission"
5-9 February 2001, ISO Data Centre, Villafranca de Castillo, Madrid, Spain, 554 Pages, Price: 50 . 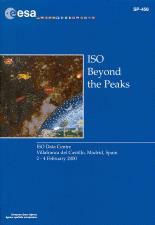 ESA SP-456: "ISO Beyond the Peaks"
ISO Data Centre, Villafranca del Castillo, Madrid, Spain, 2-4 February 2000, 389 Pages, Price: 40 . 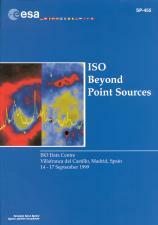 ESA SP-455: "ISO Beyond Point Sources"
ISO Data Centre, Villafranca del Castillo, Madrid, Spain, 14-17 September 1999, 203 Pages, Price: 30 . 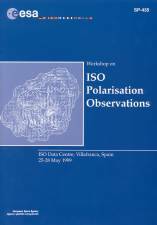 ESA SP-435: "ISO Polarisation Observations"
ISO Data Centre, Villafranca, Spain, 25-28 May 1999, 56 Pages, Price: 50 NLG (20 ). 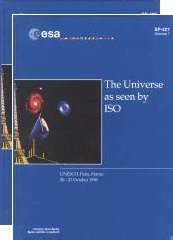 ESA SP-427: "The Universe as seen by ISO"
UNESCO, Paris, France, 20-23 October 1998, 1090 Pages (2 Volumes), Price: 200 NLG. 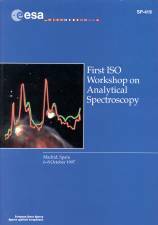 ESA SP-419: "First ISO Workshop on Analytical Spectroscopy"
Madrid, Spain, 6-8 October 1997, 329 Pages, Price: 80 NLG.